Where it's OK to change your point of view on every hole! Imagine the possibilities that take your breath away living the active adult lifestyle! The active adult lifestyle provides you with a daily dose of vitamin D, H2O and heart pumping fun. Enjoy your morning coffee on the patio taking in this view! Our active adult lifestyle provides excellence in facilities & equipment. Ready for a good book? New arrivals at the library! Beautiful weather, breathtaking mountain views, state-of-the-art aquatic and fitness center, championship golf course, tennis and pickle ball courts, artisan center, hiking in the Catalina’s all after starting your day at our on-site restaurant. 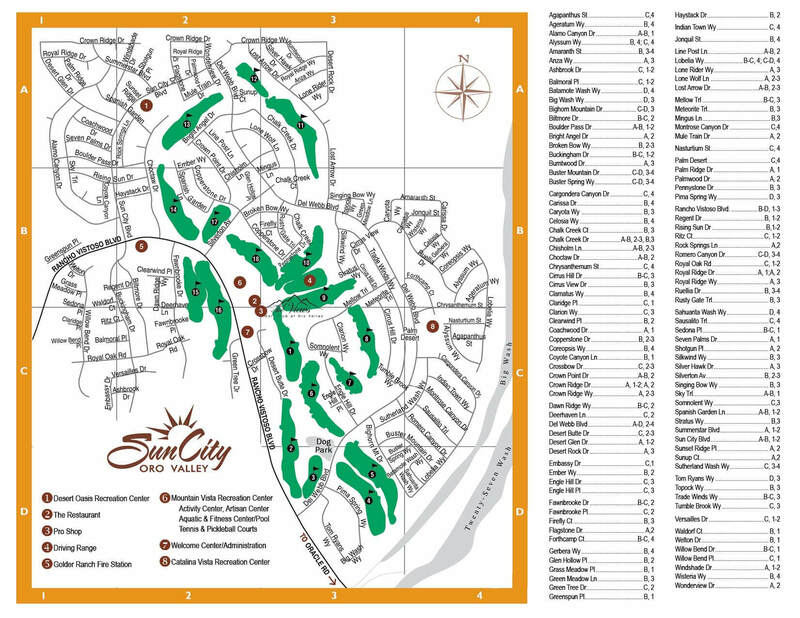 All this is yours when you make Sun City Oro Valley your home. Whether you want to sit back and relax or do all the things you never had time to do all is available in your own back yard.